Serral at HSC: "I want to chase the same titles next year"
Serral is product of region-lock, unlocked regions will ruin everything hard builded for years.I agree korean scene need some buff, maby Blizz can back Code A locked for koreans only. LOL dude, yes unlock is bad idea for me right now, but i like foreigeners in GSL its alot of FUN! Everyone now wants to see Serral vs top koreans; we don't risk another 2013/2014, OPEN THE GATES BLIZZARD! i love how everyone twists serral's statement that it is dumb that foreigners can compete in gsl like this into abandoning the region lock for wcs. at least half the ro16 of any wcs event would still get destroyed by any capable korean and with wcs being weekend events, it would be pretty easy to participate in those additionally to gsl like some foreigners are currently doing. the very top foreigners would probably still do fine, but its that 2nd tier that would suffer the most from going back to the system that already failed miserably in the past. cant believe that people actually want that abomination back. they got rid of code a because of a lack of participation and it was probably not worth the cost either, but a korean only version of challenger (online tournament with studio cast) or something like that maybe with some warchest money would definitely help the korean player base. I don't know how you did this since I was the one you quoted, not Weavel as it appears xd. Serral said nothing about region unlock, actually he seemed to indicate the lock should be perfected removing the possibility for foreigners to participate in GSL. I was asking to remove or soften up the region unlock since everyone wants to see Serral against top koreans; it could be detrimental to mid-tier foreigners at first but the gap is much closer than it was in the past so I think(I could be wrong, obviously) it would actually help them in the long run. Alternatively, keep the lock and give us many more global events; something should be done to help mid-low korean scene as well. In one thing i agree. GSL is unnecessary too long. 1 month just for Ro32, where it could have been over in 2 weeks. Then almost 2 weeks nothing, 2 weeks for Ro16, and then again almost 2week break. Then after Ro8 again almost 2 weeks of a break. The whole thing could be done in 3 or 4 weeks less for sure. My only problem is he sounds arrogant talking about Taeja and Inno. When you lose games you should own it. Prime example is when Flash lost to EffOrt in ASL 6. He trash talked before the match, predicting a 3-0. When he lost, he was very humble and had only respectful things to say toward his opponent. When FlaSh barely won 3-2 vs Snute at some IEM, he didnt discredit his opponents skill. I remember when JD won 2-1 against Scarlett one time early in her career he had an interview where he praised her skill and said it was a difficult match because of it. A champion should be graceful and respect his opponents. Just my two cents. I don't think what he says is arrogant at all but I kinda see his point. 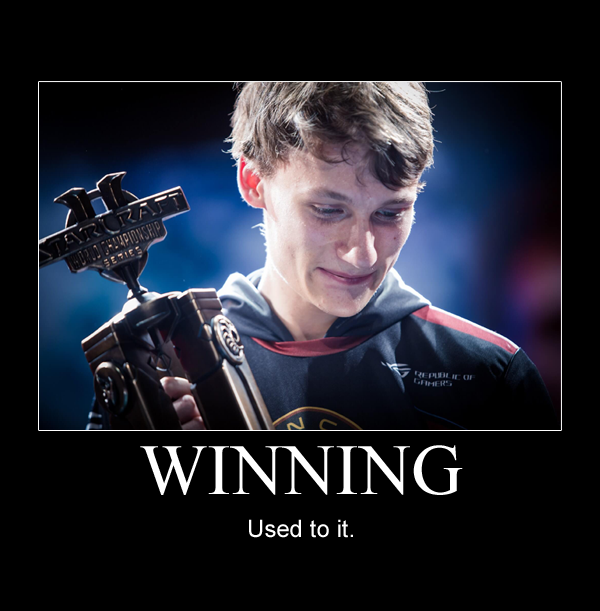 When Serral loses or has a close series he always says something like "the games were close because I did x and x wrong" (implying if he didn't do those mistakes he'd have easily won). When someone like Flash or JD lose or have a close series they never make excuses but only praise their opponent and say they only barely edged it out because of some small details. I'd attribute this more just on Serral's inexperience with interviews though - Flash and JD (and most other koreans) are doing this for over a decade. You can also argue if you even want every player giving super generic professional answers. I don't think it's a common thing for Serral to belittle his opponent's performances even when he criticizes his own play. This time was a bit different though, but I think it's just because Serral genuinely feels that the close series gave a wrong impression about Taeja's current level compared to top terrans. Rooting for Serral to become the first SC2 millionaire next year. Can he do it before Maru ? They both need to have an extremely good year, not sure if they can in 2019. I took an extremely long break from SC2 (thanks, Dota) for perhaps 2.5 years so I did not know of his dominance until 2 weeks ago, and I immediately got nerd chills when Serral won HSC. The buildup to the tournament was amazing to experience, even after the fact. I got to watch some of the more recent matches and finals to see what kind of play to expect. OFC its going to be hard for either of these two to win both together. WESG is only 150k. IEM could be more though because of Warchest. Yet on the other hand in all forms of sport you have players say the exact same thing as serral after matches. “ we lost because we didn’t execute our game plan well enough “, “ I made critical mistakes at the wrong time” etc etc. Nothing in it at all, not even inexperience...it’s just nitpicking. I kinda hope that the IEM winner's purse stays 100k so that the true God of Starcraft sOs will come and claim another one once again. Yeah I don't think it's a problem at all - it's just something most koreans don't do. Great interview. Thanks for the content.